Essenes -  An epic journey of new discovery so fantastic that our natural instinct would be to block it out. Discover the spirituality, practices, and writings of this esoteric community which resurfaced in history just before the appearance of the Messiah. This presentation traces Essene origins to ancient Egypt, highlights surprising connections to Christian teaching , and offers images representing the life and perennial wisdom of these little known and mysterious practitioners of holy living. 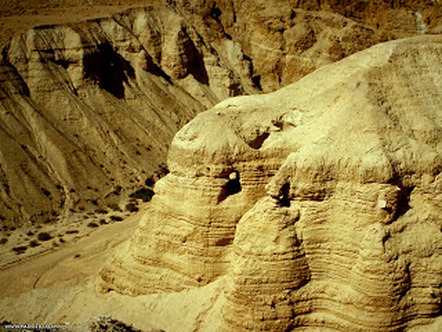 Since the archaeological discovery of the Dead Sea Scrolls in 1946, the word "Essene" has made its way around the world--often raising a lot of questions. Many people were astonished to discover that, two thousand years ago, a brotherhood of holy men and women, living together in a community, carried within themselves all of the seeds of Christianity and of future western civilization. This brotherhood--more or less persecuted and ostracized--would bring forth people who would change the face of the world and the course of history. Indeed, almost all of the principal founders of what would later be called Christianity were Essenes--St. Ann, Joseph and Mary, John the Baptist, Jesus, John the Evangelist, etc. The Essenes considered themselves to be a separate people--not because of external signs like skin color, hair color, etc., but because of the illumination of their inner life and their knowledge of the hidden mysteries of nature unknown to other men. They considered themselves to be also a group of people at the center of all peoples--because everyone could become part of it, as soon as they had successfully passed the selective tests. They were not limited to a single religion, but studied all of them in order to extract the great scientific principles. They considered each religion to be a different stage of a single revelation. They accorded great importance to the teachings of the ancient Chaldeans, of Zoroaster, of Hermes Trismegiste, to the secret instructions of Moses and of one of the founding Masters of their order who had transmitted techniques similar to those of Buddhism, as well as to the revelation of Enoch. Thus, they knew how to communicate with angelic beings and had solved the question of the origin of evil on the earth. One of their major preoccupations was to protect themselves from any contact with evil spirits, in order to preserve the purity of their souls. They knew that they would only be on earth for a short time, and they did not want to prostitute their eternal souls. It was this attitude, this strict discipline, this absolute refusal to lie or compromise, that made them the object of so much persecution through the ages. The Essenes considered their Brotherhood-Sisterhood as the presence on earth of the Teaching of the sons and daughters of God. They were the light which shines in the darkness and which invites the darkness to change itself into light. Thus, for them, when a candidate asked to be admitted to their School, it meant that, within him, a whole process of awakening of the soul was set in motion. Such a soul was ready to climb the stairs of the sacred temple of humanity. 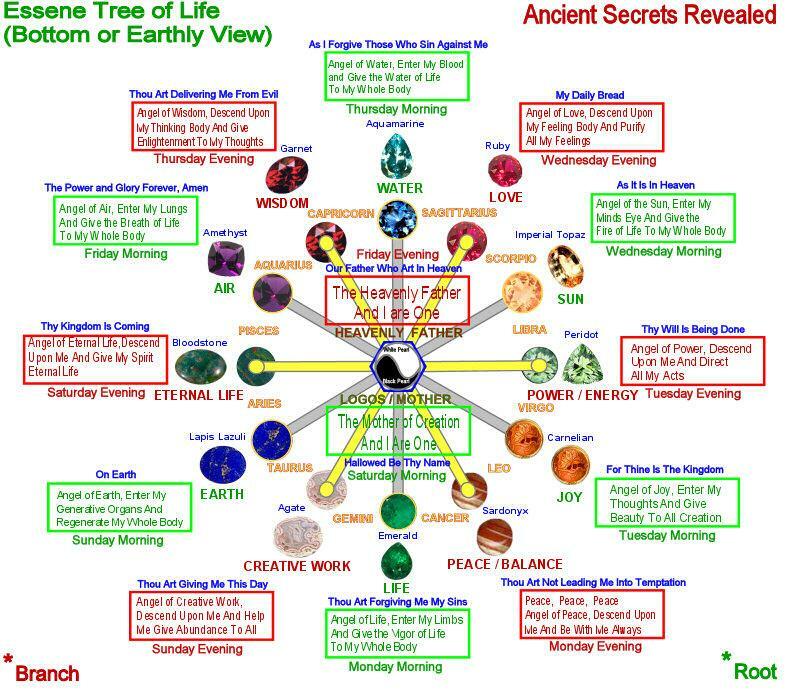 The Essenes differentiated between the souls which were sleeping, drowsy, and awakened. Their task was to help, to comfort, and to relieve the sleeping souls, to try to awaken the drowsy souls, and to welcome and guide the awakened souls. Only the souls considered as awakened could be initiated into the mysteries of the Brotherhood-Sisterhood. Then began for them a path of evolution that could not stop anymore through the cycle of their incarnations. Everybody knew the Brothers and Sisters in white. The Hebrews called them"The School of Prophets"; and, to the Egyptians, they were "The Healers, The Doctors". They had property in nearly all of the big cities; and, in Jerusalem, there was even a door that bore their name: the door of the Essenes. Despite some fear and joking, due to the rejection of that which one does not know, the people as a whole felt respect and esteem for the Essenes because of their honesty, their pacifism, their goodness, their discretion, and their talent as healers, devoted to the poorest as well as to the richest. They knew that the greatest Hebrew prophets came from their lineage and their School. Moreover, even if the Brotherhood was very strict about the law of secrecy with regard to its internal doctrine, it cultivated many points of contact with the people, notably through places of lodging for the pilgrims from every horizon, through helpful actions in difficult periods, and especially through the healing of illnesses. These places of primary teaching and of healing were located in precise areas where people could go freely. 'Qumran archeologie' Archeologia 298 February (1994) 25-36. Drake, Tyrwhitt ... The Jewish Sect of Qumran and the Essenes (London 1954). Eadie. 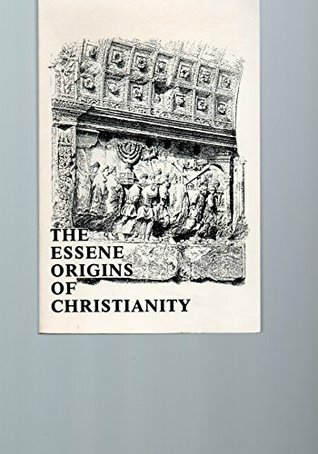 John W.
The Essene Origins of Christianity / Free PDF.